Price Kitchens can help clients throughout Clapham choose the perfect design for their dream kitchens. Offering a wide range of kitchen solutions, from beautiful worktops to storage solutions, state-of-the-art appliances and more, we have everything you need to create the perfect kitchen using our bespoke design services. Having provided fully fitted kitchens as well as supply only kitchens and contract kitchens since 1979, Price Kitchens takes specific client requirements into account in order to provide a kitchen that is perfectly suited to your needs and preferences. We also have a range of height adjustable kitchens for those in need of a customisable worktop and cooking surface. 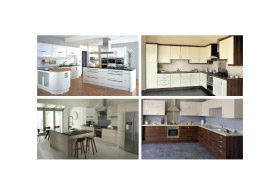 Price Kitchens have been designing, manufacturing and fitting custom kitchens across the south east for over thirty years. Covering the Clapham area and across the whole of south London, Price Kitchens have gained a reputation as the number one choice for fitted kitchens in the area thanks to our unrivaled experience in the kitchen industry. First established in 1979, Price Kitchens offers a wide range of bespoke interior design services that help you choose the kitchen of your dreams. Our professional team will work with you throughout the entire process, drawing from extensive local experience in order to continue to provide our clients with first class, bespoke design services. For trade customers we can supply kitchens to suit all tastes whilst retail customers can enjoy our custom kitchen design service – building the kitchen of your dreams for your Clapham property right the way from the ground up using our specialist 3D design software. Whether you’re looking for a contemporary style fitted kitchen customised to your precise specifications or you’re interested in a more traditionally designed off the shelf supply only kitchen at a price to suit any budget, Price Kitchens can deliver across the whole of Clapham and south London. 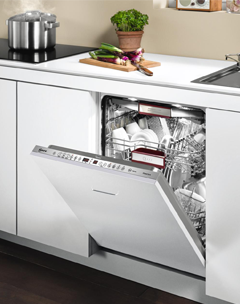 Price Kitchens has appliances designed to suit all kitchen styles. Our range of kitchen appliances are specifically chosen to work with all kinds of interior design specifications, stocking appliances from a variety of highly recommended manufacturers. 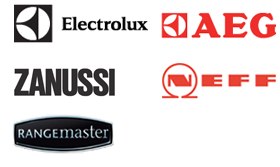 Our suppliers include Siemens, Bosch, Neff, Zanussi and more, offering quality rates for all kitchen appliances. If you require a certain appliance to fit in with the theme of your kitchen, or you are unsure as to what may best suit your needs, please ask our advisers today. A unique kitchen worktop can add the perfect finishing touch to a beautiful kitchen design. Offering a wide range of high quality and durable kitchen worktops in a variety of colours and materials, allow Price Kitchens to complete your ideal kitchen design. Our kitchen worktops are made from the highest quality materials meaning they are both durable and long lasting. We also provide a comprehensive design service which allows you to pick out your own kitchen worktop design to complement the rest of your kitchen. Price Kitchens have provided first class kitchen worktops for both private and commercial clients and have even supplied our services to a number of large scale trade developments. For those looking to achieve their dream kitchen space, our design and installation services are the first point of contact, whether you live in Clapham or further afield. We provide professional advice for projects of all sizes and budgets, having worked with countless happy clients to create their ideal design. Below are a few examples of positive testimonials from clients. Whether you would like to request assistance in choosing the perfect kitchen for your Clapham home, or you would like to find out more about the range of kitchens and appliances we supply and install for clients, please do not hesitate to get in touch today. Simply call us on 02 8686 9006 where a member of our professional team will happily help you with any questions you might have. You can also fill out the contact form at the bottom of this page and we will be in touch as soon as possible. Dorian was a pleasure to have working in the kitchen. Nothing was too much trouble for him.